This article is about a shot heard round the world. On Wednesday, Jan. 10, 2018, Bloomberg reported that government officials in Beijing were reviewing the composition of Chinese reserves and considering reducing their allocation to U.S. Treasury securities. The news sent Treasury note prices plunging, and the yield to maturity of the 10-year Treasury note shot up past 2.5%. Pundits came out of the woodwork to declare that the 35-year-old bull market in bonds was over and a new secular bear market had begun. Judging from the tenor of so-called expert commentary, it seemed that the end of the world was nigh. Not so fast. It is true that China is the world’s largest foreign holder of U.S. Treasury debt and that its decisions on asset allocation can affect asset prices, especially in bonds and currencies. But there was less to this move than meets the eye. 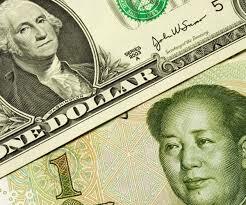 Chinese holdings of U.S. Treasuries have been nearly constant for about three years. China has been diversifying away from U.S. Treasuries for years, including increased allocations to gold, direct investments in private equity, hedge funds and high-quality, euro-denominated debt. China is not about to dump Treasuries in a big way, although it might buy fewer in the future. This news is of no particular concern to the U.S. Treasury, as U.S. banks stand ready to pick up the slack if needed as buyers of last resort. Yields on 10-year Treasuries may have increased for a few days, but they are still well below the levels of late 2013, the last time pundits declared the end of the bull market. The Chinese leak is best understood as a shot across the bow in what is shaping up as a new currency and trade war between the U.S. and China. The U.S. is preparing to slap tariffs and other trade sanctions on China, so China was warning Washington that such actions might be met with retaliation in the bond market. Still, the bond bull market is far from over. Disinflationary forces have the upper hand over inflation. The Fed is over-tightening with both its rate hikes and balance sheet reductions and won’t realize it until it’s too late. Treasury yields should decline from here just as they did in 2014. Inflation will arrive someday, but not yet. For now, what we’re seeing is bluster and the contours of a financial war rather than the end of the bull market in bonds.